Happy Pi Day! Yes… today is 3.14! So in celebration of Pi Day… I decided to make a PIE! Celebrate Pi Day with pie! 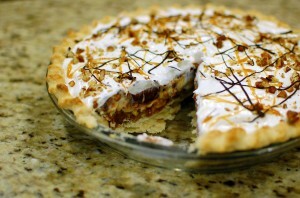 My all time favorite pie, is the Baker’s Square Caramel Pecan Silk Supreme. OMG it has been YEARS since I have had that pie… but it lingers in my memory as the best pie ever. When I was a teenager, I worked at a Baker’s Square Restaurant as a hostess. When the cream pies (like my favorite Caramel Pecan Silk Supreme) were 3 days old, they could no longer be sold or served to customers… so they would let the staff take home those pies for free. I ate that pie almost every day… and savored each bite… and never got sick of it. So early today, as I was contemplating π and pie, I resolved to make it! So here is my version of the Baker’s Square Caramel Pecan Silk Supreme Pie, in celebration of π Day! 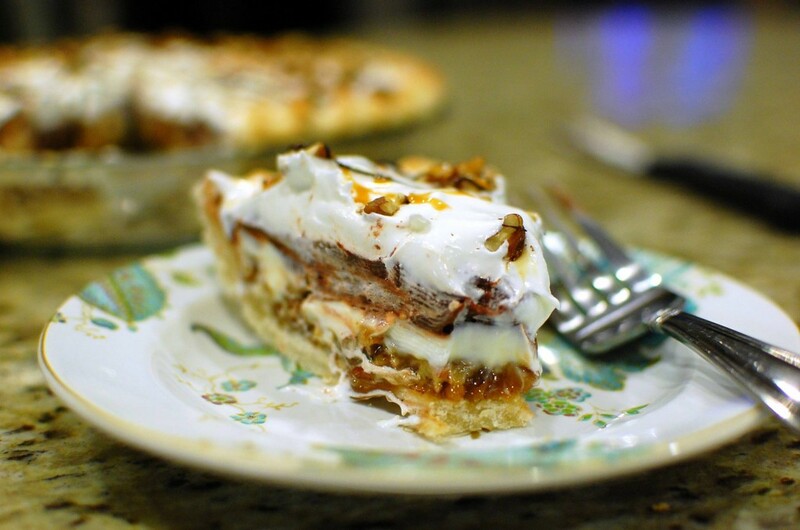 You will notice that the crust, cream cheese layer, and whipped cream layer are only slightly sweet. The reason for this, is that the caramel layer and the chocolate layer are quite sweet, so the rest of the pie is better off with less sugar. For the caramel layer, use a jar of caramel ice cream topping – found in the supermarket near the hot fudge sauce and other ice cream toppings. 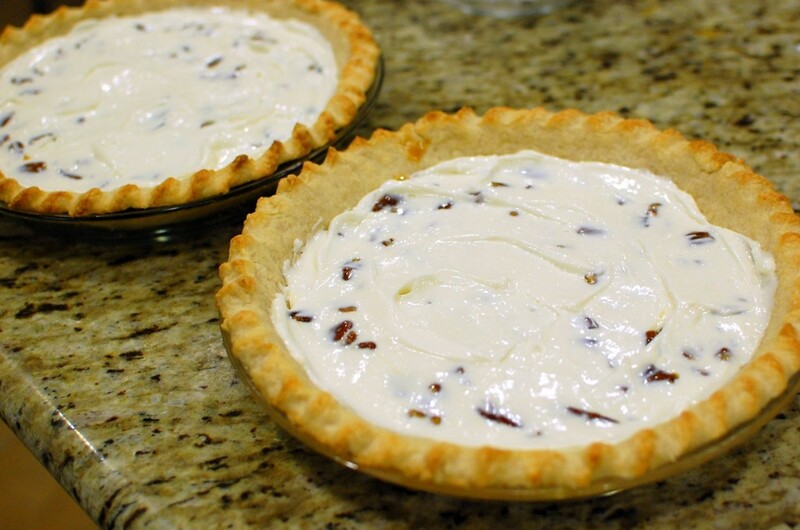 This recipe makes 2 pies… mainly to use up all of the ingredients instead of having half of everything (caramel, cream cheese package, whipping cream carton, etc.) left over. But don’t worry… you won’t have much leftover pie! Use instant pudding mix and caramel ice cream topping! 1. First make the pastry for the pie crusts. 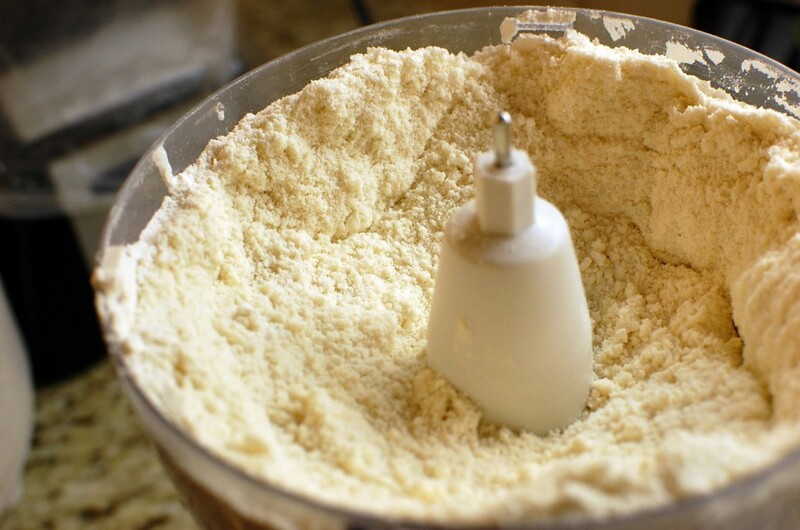 In the work bowl of a food processor, pulse the butter (cut into chunks), flour, and salt until the mixture resembles fine crumbs. 2. Add the sour cream, and mix in to form a smooth dough. Divide the dough into 2 disks, cover with plastic wrap, and refrigerate for 30 minutes. 3. Preheat the oven to 350 degrees. 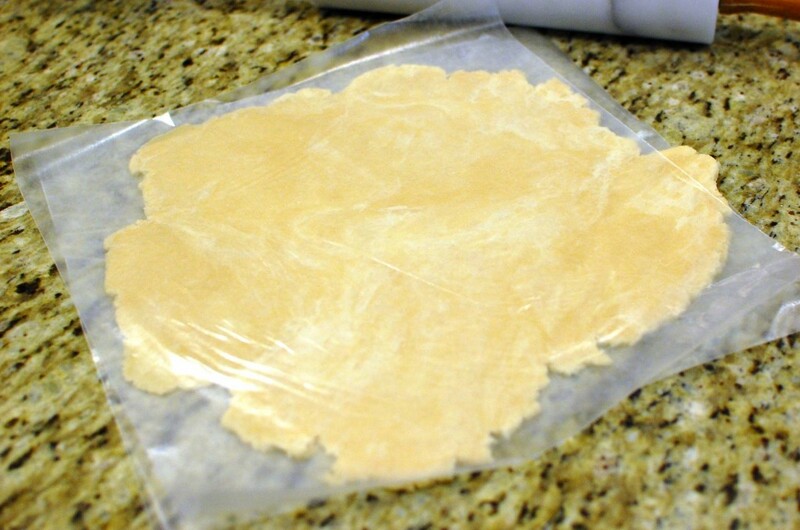 Roll the dough out between two sheets of waxed paper. 4. 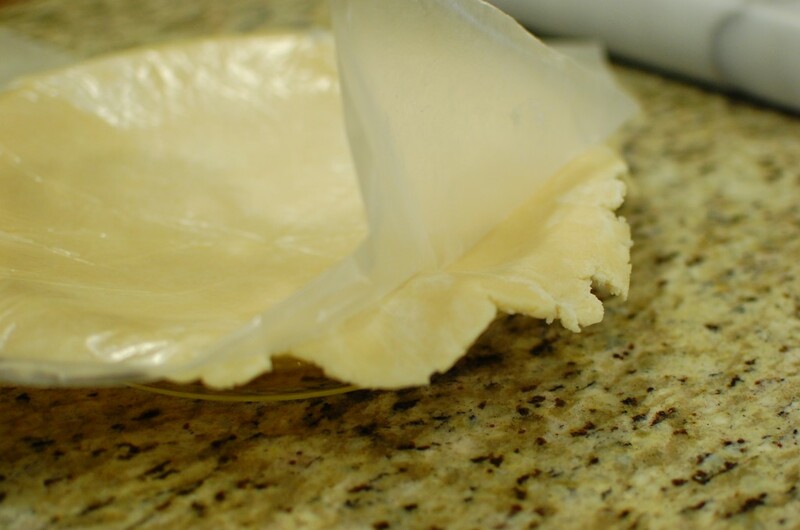 Peel the top waxed paper off, then plop the dough down into a 9 inch pie plate, then peel the top waxed paper layer off. 5. 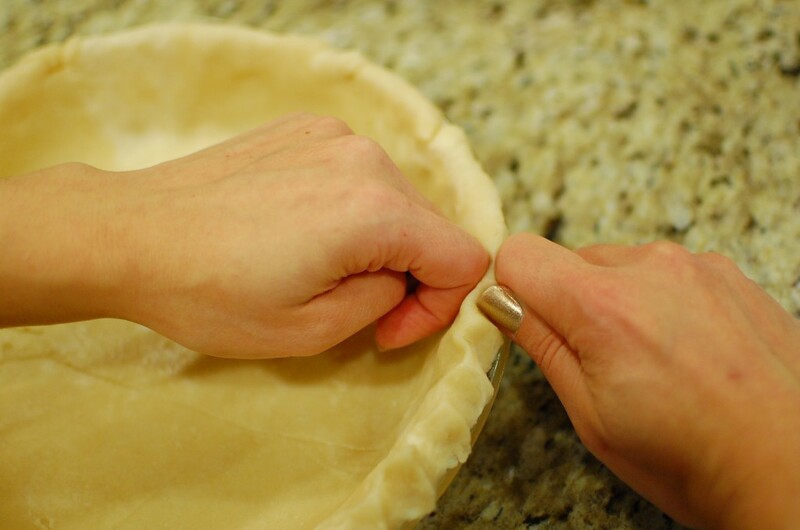 Ease the dough into the pie plate, and crimp the edges between the knuckle of one hand, and the thumb and forefinger of your other hand. 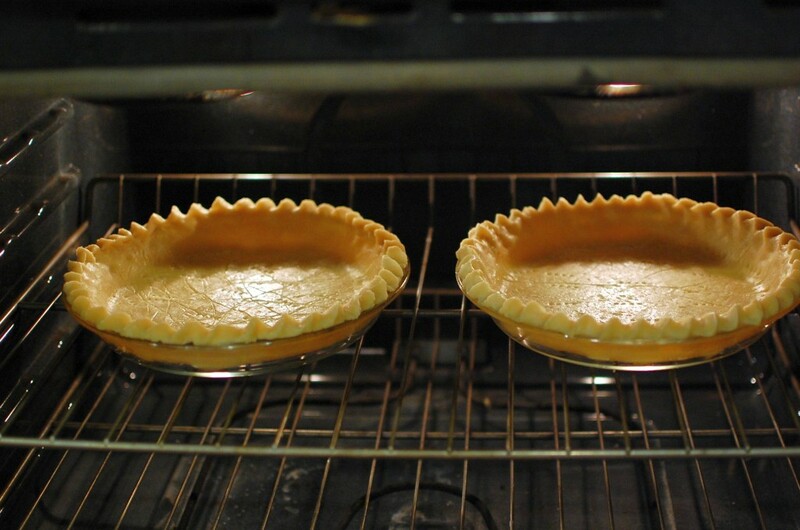 Work by pinching/crimping all the way around the edge until you have a fluted crust. Repeat with the second disk of dough. 6. Use a fork to prick the crust. Bake for 15-20 minutes until golden. Remove and allow to cool. 7. 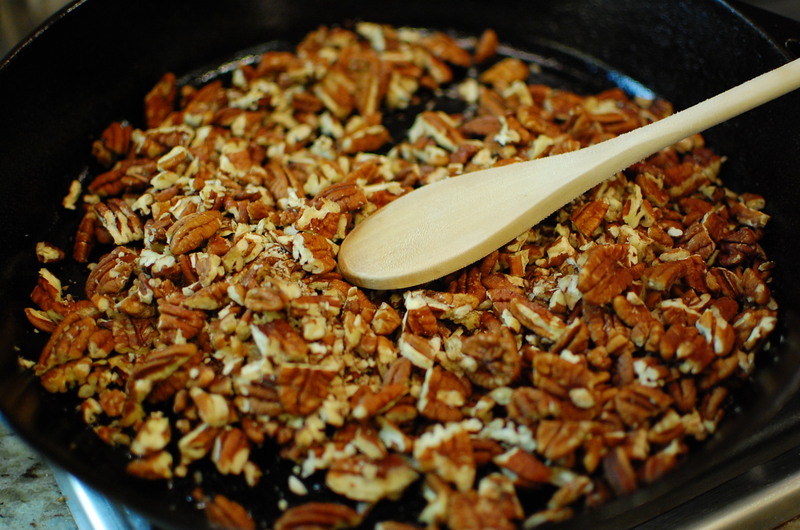 Meanwhile, over medium head, toast the pecans (while moving back and forth with a wooden spoon or spatula) for a few minutes until fragrant. Remove from heat immediately, and place into a bowl. 8. 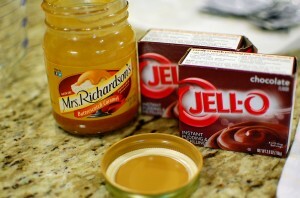 Remove the lid of the jar from the caramel topping. 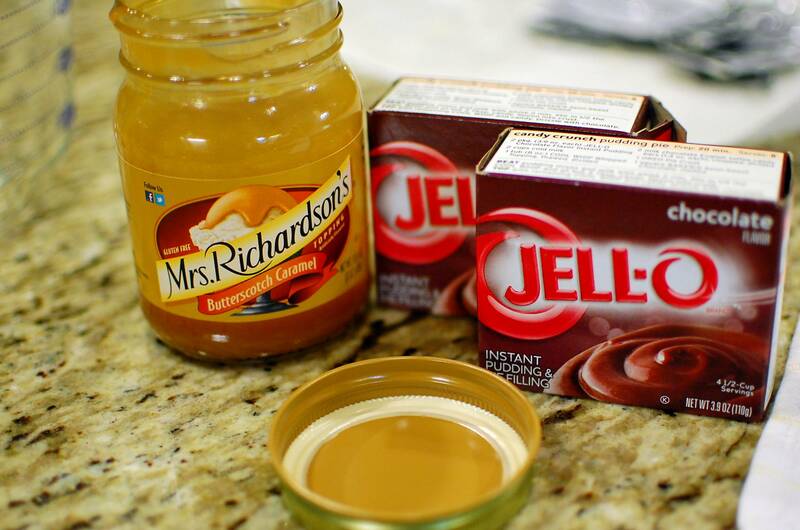 (Make sure the jar is microwavable) Microwave for 30 seconds – this is just to loosen up the caramel and make it easy to pour – it does not have to be fully melted or hot. 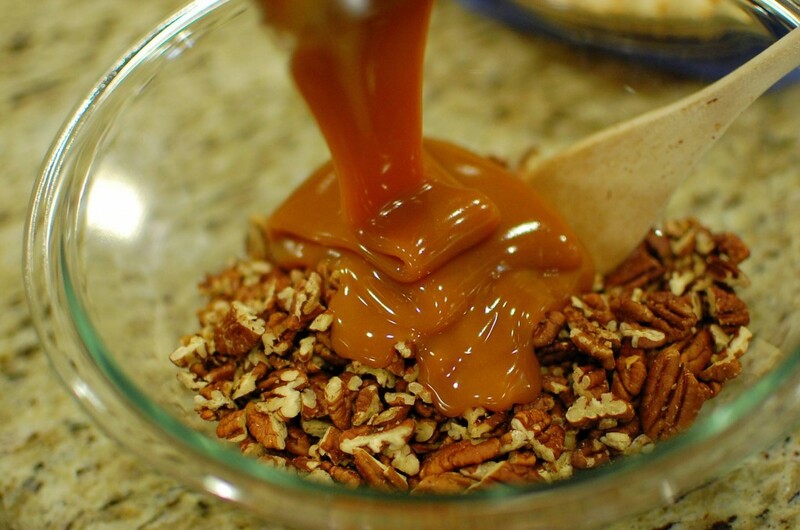 Pour the caramel over the pecans. Reserve a few Tablespoons of caramel for the topping. 9. 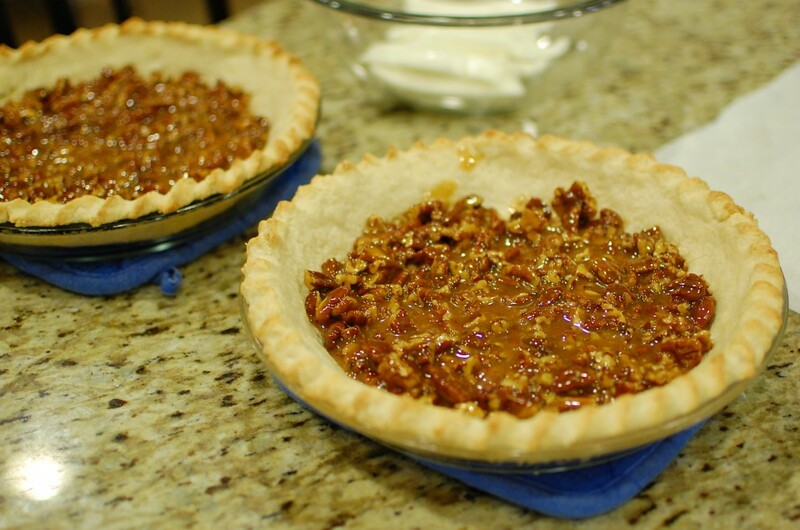 Stir the pecans into the caramel, portion half into each pie crust, and spread over the bottom of the pie crust. Place into the refrigerator to cool. 10. 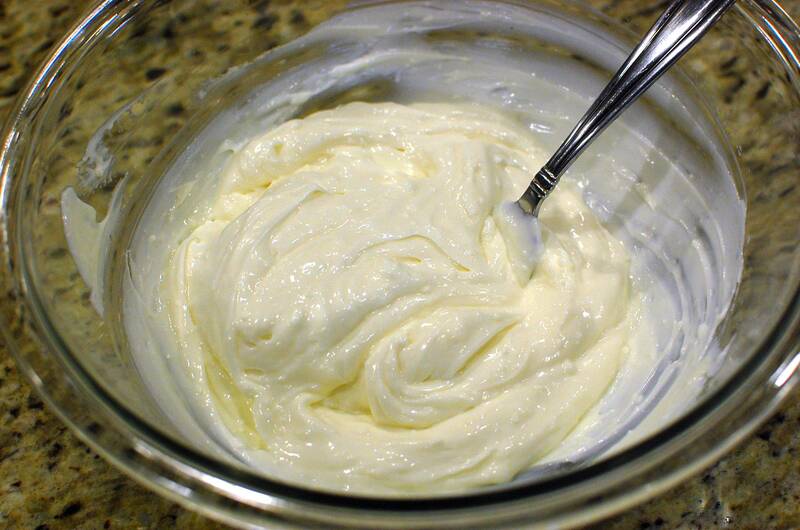 Meanwhile, mix the cream cheese, sugar, vanilla, and sour cream until smooth. 11. When the caramel pecan mixture is cool, divide the cream cheese mixture and spread over the top, then return to the refrigerator. 13. Spread the chocolate layer over the cream cheese layer. Return to the refrigerator. 14. Whip the cream with the sugar. 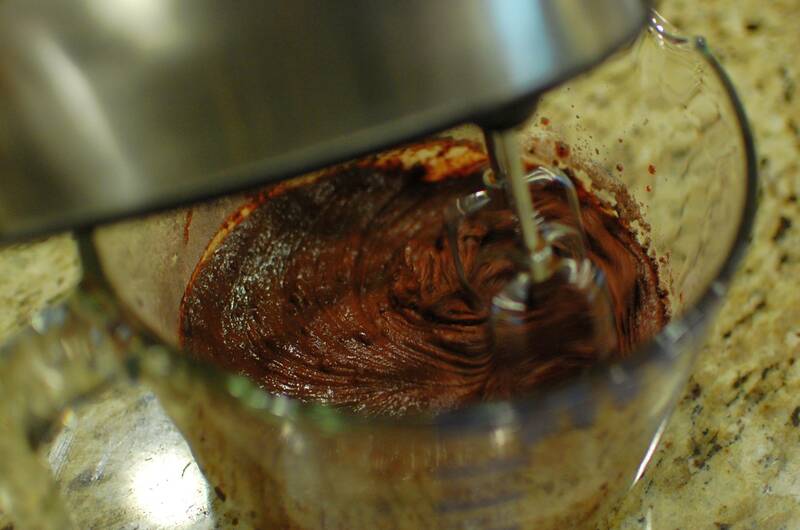 Spread or pipe over the top of the chocolate layer. Drizzle melted chocolate and warmed caramel topping over the whipped cream. (Put the chocolate into a small Ziploc bag and microwave a few seconds until melted. Cut a corner off the plastic bag, and drizzle the chocolate out of the corner.) Sprinkle with reserved chopped pecans. 15. Chill thoroughly before cutting and serving. 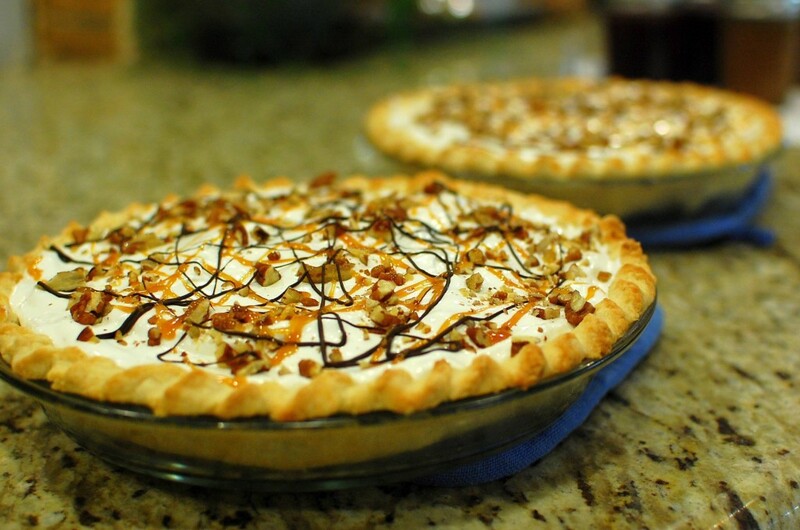 I have never baked a pie from scratch before, but would love to give these a try. Have you tried baking them as mini pies before? Would the bake time be different? Hi there. 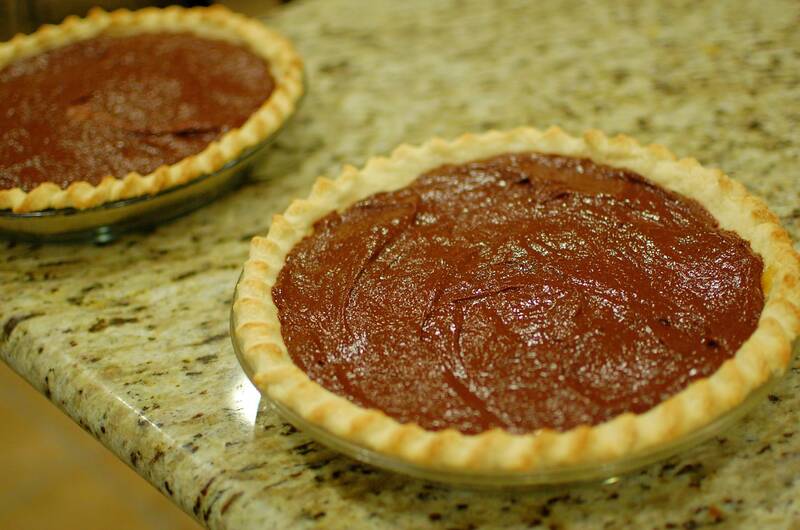 If you have never baked a pie from scratch before, I would try the full sized version first – it’s much easier. For mini pies… I’ve never made this recipe as a mini pie… so you might have to experiment with the time… depending on how small you are making them. Thanks, Mika! I tried the recipe (full sized as you recommended) and it was great! Can’t wait to eat another slice! Will the pie be too sweet if you try it with another kind of pasty (like the pastry used for apple pies)? I’m not sure what you are asking? 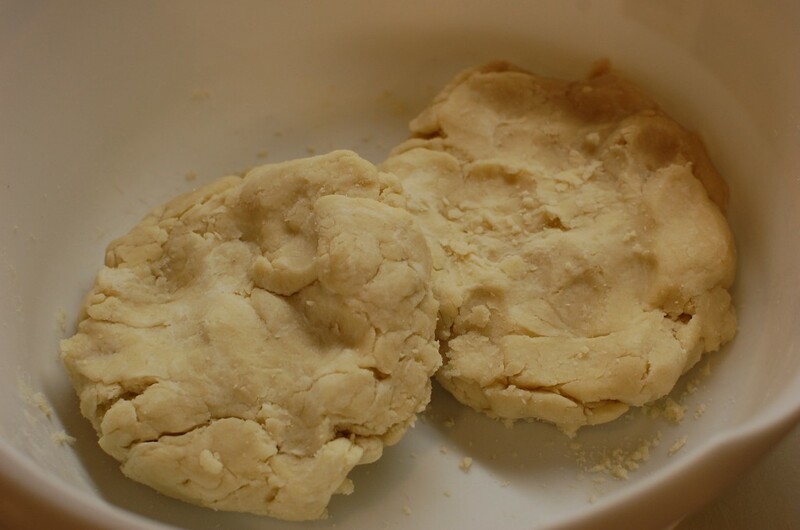 The pastry recipe provided above is a typical pie crust recipe that one might use for apple pie. What I WOULDN’T use is something overly sweet – like a cookie crumb or graham cracker crumb crust. (Because the filling itself is so sweet, you don’t want to add to much sweetness to the other parts that make the whole pie.) Rolled pastry (like a regular rolled pie crust) is what you SHOULD use. Hi! I tried baking this pie and everything turned out great except for the chocolate pudding layer, which was extremely watery. I used full fat milk and whisked on high for a good 10 minutes with no luck. Are there any tips you have for thickening the pudding? Or any idea what I could be doing wrong? Thanks! Hmm… I’m not sure. I know that you can buy instant pudding mix in two different sizes. Did you use TWO boxes of the 3.4 oz size pudding mix? I used Jello brand pudding mix, starting with 2 cups of cold milk. It actually ended up somewhat thick, so I had to thin it out with a little bit more milk. If you used only one box, or if you followed the box instructions to make pudding… then it might end up being too thin. another thought i had was did you make sure to use INSTANT pudding and not the type you have to cook. Hello! Love this recipe. Actually had Bakers Square Caramel Pecan Supreme pie Monday and had to find a recipe and yours looked the best. I am actually taking it to work so for ease of transport I made it in a 9 x 13 pan and a mini pie with lot overs. I rolled the crust in a large triangle and put it 3/4 of the way up the pan. Mini pie tastes delicious. .. hoping for success tomorrow with the cake pan version. You have wonderful recipes and great directions. Thanks!!! I’m so excited to try this recipe during the holidays, as I’m also a big fan of the Baker’s Square version. Do you have any special guidance regarding potentially freezing these pies, so I can make them ahead of time? No, I’ve never made them ahead of time. But as long as you cover them well (so that freezer flavors/odors don’t affect the taste of the pie) then it should be fine. I would defrost overnight in the refrigerator. Can I use a pre-made crust? How long does the whipped topping last? I want to make these on Wednesday to take for thanksgiving, but I’m worried about it breaking down if made too early. The whipped cream will hold up. But you have to make sure you use HEAVY cream. The pie was a Hugh hit. I am curious as to why you used instant pudding instead of cooked. I would not have thought to use that? You could use cooked pudding… I just did instant because it’s what I normally have, and it’s faster than cooking up a batch of pudding.